At the dental office of MJ Waroich, DDS, our entire team understands your smile is important to you. Whether you need a boost of everyday confidence or you’re looking to impress at an important event, having a radiant smile makes all the difference. If you’re unhappy with the appearance of your teeth, our Washington, DC cosmetic dentist offers treatments to meet your goals. Call our office today to schedule your consultation and learn more about what we can do for you! Stained dental enamel is a common concern for many patients. Years of consuming coffee, tea, and red wine can discolor your smile. Thinning enamel due to aging or gray teeth caused by medications can make teeth look darkened overall. But creating the appearance of a bright and fresh smile is easy with cosmetic dental care. Dr. Waroich offers topical teeth whitening for patients with surface-level dental stains and natural-looking porcelain veneers for teeth that are permanently discolored. 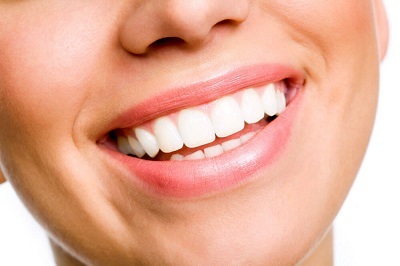 If you qualify for dental bleaching, we can boost the vibrancy of your smile in as little as an hour. For patients in need of porcelain veneers, two appointments are all it takes to enjoy a completely transformed aesthetic. Cosmetic dentistry is intended to improve the way your smile looks, but the broad range of procedures in this category makes cosmetic services excellent for repairing physically impaired teeth. If you have a small cavity, our DC cosmetic dentist uses only tooth-colored composite; no one has to know you’ve had a filling. When decay is larger or teeth have suffered cracks and fractures, restorations like crowns and veneers are utilized. Our prosthetics are created with life-like porcelain; treated teeth blend with the rest of your smile. Porcelain is durable and stain-resistant, making it ideal for beautifully restoring teeth. It can be hard to smile confidently if you’re missing one or more teeth. Tooth loss also causes functional challenges, making it difficult to bite and chew. Teeth replacement is important for general dental health, but making sure your new teeth are seamless is vital as well; no one wants a prosthetic tooth that looks unnatural. At our cosmetic dental office, we provide the most natural-looking teeth replacements available: dental implant restorations. Whether you need replacements for one or several teeth, our porcelain implant crowns and bridges prove to be the best-looking options. It is possible to have the beautiful smile you’ve always wanted – no matter what dental concerns you’re experiencing. If you have questions about cosmetic dental treatment in Washington, DC, we welcome you to call Dr. Warioch today to book a consultation!